The Fresh Diet is is one of the fastest-growing fresh meal delivery services. More about this diet you can read HERE! The vegan-only diet with vanilla chia pudding and berries for breakfast, red cabbage and green apple sesame slaw with sweet potato for lunch, hummus with vegetables for an afternoon snack, black bean and quinoa salad for dinner and a dark chocolate dessert. 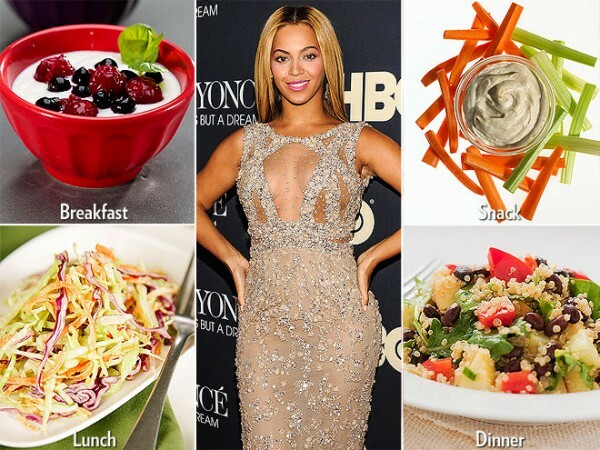 In her best selling cookbook “It’s all good” you can read recipes for the foods she eats when she wants to lose weight,look good and feel more energetic.